Look as bright and happy on the outside as you feel on the inside! 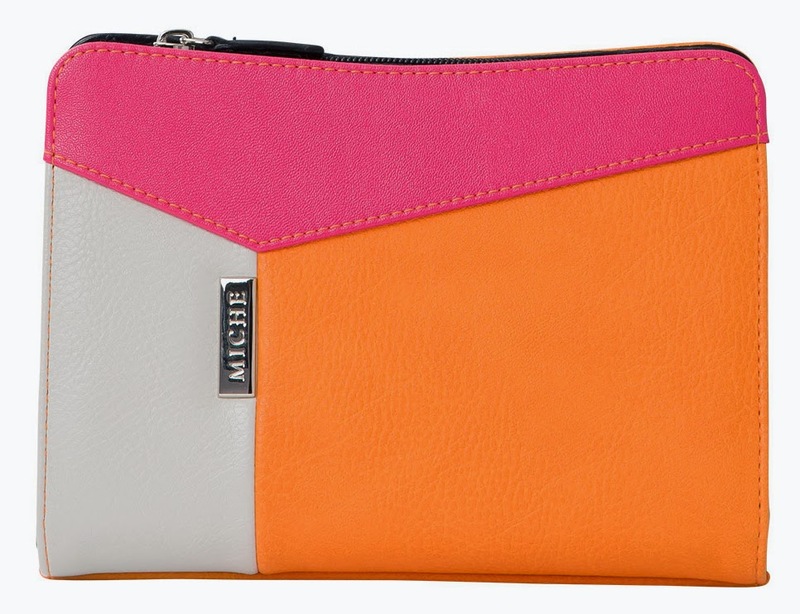 The chic Dorinda for Petite Miche bags features pieced geometric color blocks in vibrant pink, cream and mango. Lightly-textured faux leather design features silver hardware.